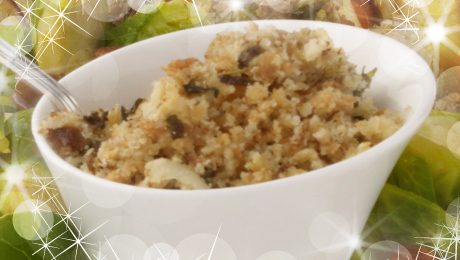 This traditional recipe is a wonderful stuffing for Turkey or Goose. In a large bowl mix together the sausagemeat and add the chopped herbs. Add the finely diced onions and garlic and using your hands to combine all the ingredients together. Place the stuffing in the cavity of the Turkey and cook as per instructions or alternatively place in a baking tin and cover in foil, cook for 25 - 30 minutes.